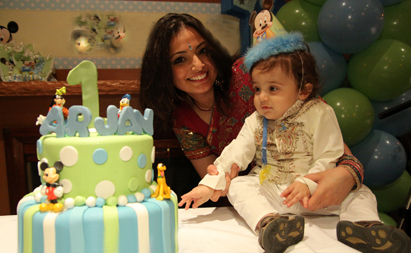 Completion of your baby’s first year is a matter of joy for you andyour family. The baby starts responding to the environment, starts smiling and best of all starts uttering words such as momma and dada. 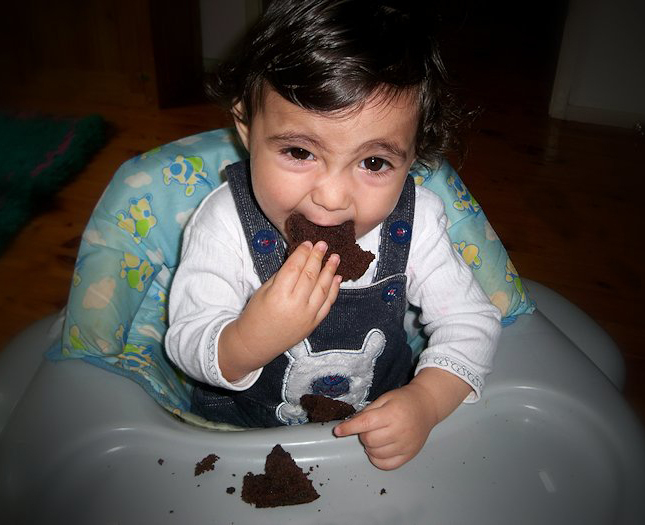 Hence, you would want to make the first birthday of your child memorable. Depending on the age of the invitees, there are many age appropriate activities and party ideas that you can implement. In India, almost all birthdays follows the cake cutting ceremony of the west. It is hence mostly a mixture of western and Indian traditions. Baby Sitting – You can hire baby sitters or have close family members take care of the baby while you are involved in event management. Proper Timing – The baby has short attention span. Hence, limit the party to an hour or two. It is better to plan late morning like 10 or 11 AM or late afternoon like 4 or 5 PM. The baby remains fresh after a nap in those times. Guest List – You do not want to intimidate the baby with too many people. Have a proper guest list of close friends and relatives whom the baby is familiar with. Play Zone – Your guests may also have kids of comparable age as your kid. If that is the case, then having a play zone would be amazing. Make sure that you fill these areas with age appropriate toys with chairs around the area for parents to watch. Toys and Balloons – Try to avoid latex based toys and balloons since they run the risk of choking for children under 8. Try foil or Mylar based balloons and toys. You can also get helium kits to fill them. Check Allergies – Some guests may be allergic to certain types of foods. You should check with them before deciding the food items. Also check allergies with any other type of substances such as perfumes or candles etc. to avoid unnecessary discomfort to your guests. Food and Beverages – Food can have multiple cuisines. You can hire a caterer to take care of that. But make sure that vegetarians and non-vegetarians have the choice. Drinks should be arranged in a separate section of the venue where people can enjoy separately from the main crowd. Venue – The best place to arrange the event is your own home. Your close friends and relatives will be familiar with the place and would easily blend in. You can arrange the event outside if you prefer, but it is not recommended. Budget – Your budget is the most important aspect in planning any event. You don’t want to spend too much only to know later that it was a waste of money. Keeping the number of guests to minimum plays a great part in cutting down the expense.